The Maltby Farm is a local Seattle farm that consists of three 100 year old apple trees. Every year the farm produces apple sauce, butter, and cider in a limited edition production. 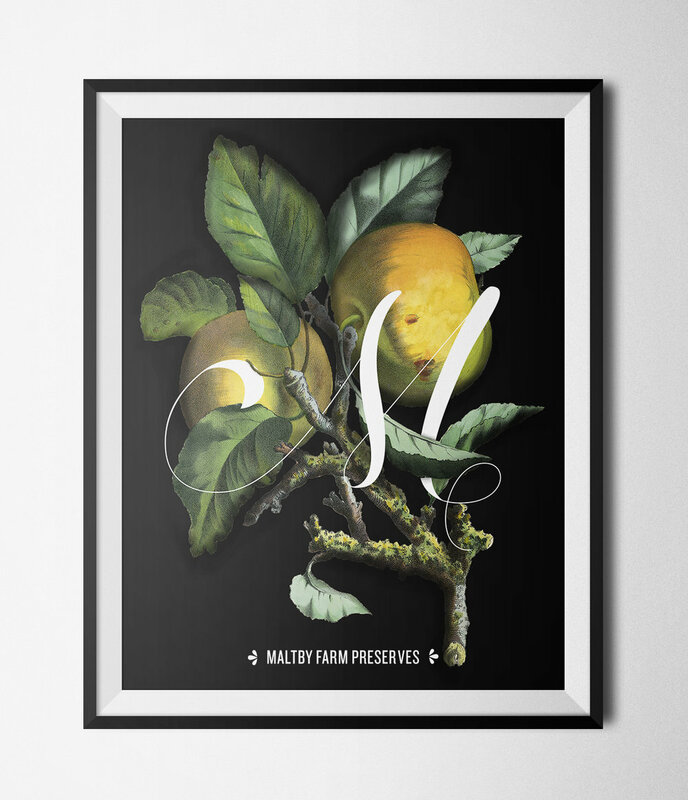 Inspiration came from classical botanical prints paired with calligraphy and traditional typography.